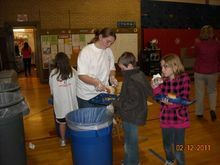 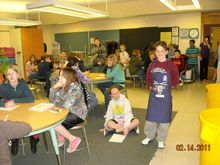 Some elementary schools in the Great Falls Public School system now have bokashi cold composting systems installed and are composting their food waste from the cafeteria and snacks. 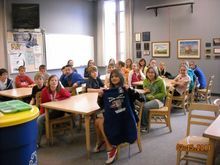 CAPTAIN COMPOST CELEBRATES all of his team members at the schools and they work together to produce "good dirt" - let's look for some school gardens soon. 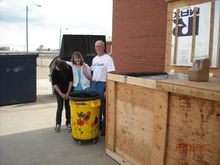 Prairie View Elementary in Conrad is doing bokashi bucket composting with their cafeteria food waste, and trenching the fermented material in their school garden.